To Celebrate, we changed things up this year. 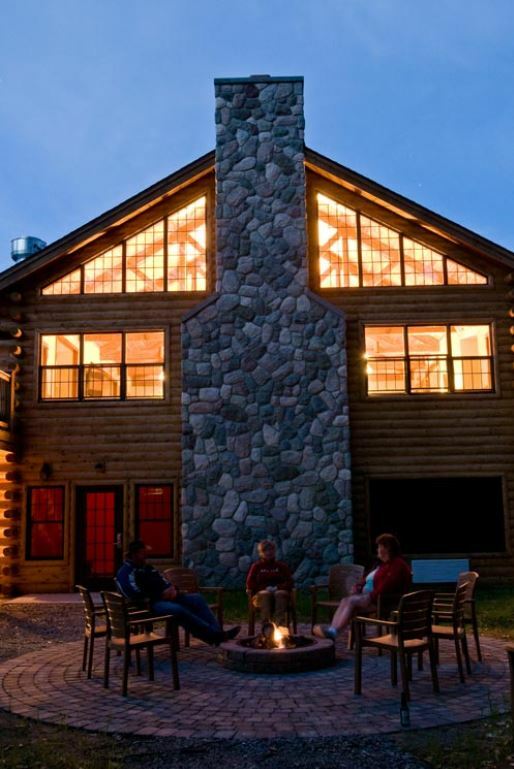 Rockwell Lake Lodge is a beautiful lodge, nestled among the 685 acres of the G. H. Gordon Biological Station in the rolling hills and forests of west central Michigan. The lodge also so has a 1.2 mile walking path around Rockwell Lake. Rockwell Lake offers anglers the opportunity to try their luck fishing for Largemouth Bass, Bluegill, Sunfish, Walleye and Perch. As a biological station used primarily for research purposes, folks are asked to practice catch-and-release with barbless hooks. Just bring your valid Michigan fishing license. 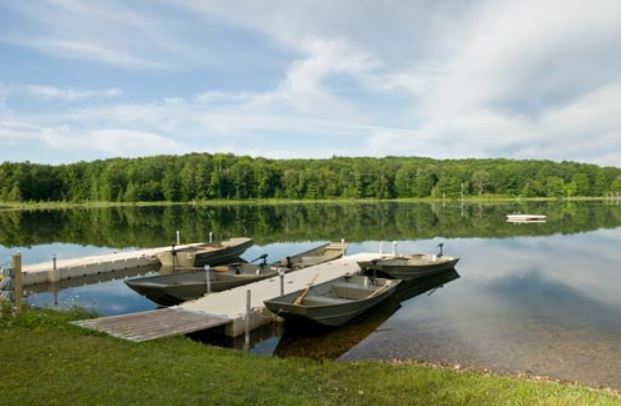 Only watercraft provided by the Lodge is permitted on the lake. No Waders. Jon boats, kayaks, canoes and pedal boats are available for enjoying the lake. Rumors are that that someone caught a 13” blue gill on the lake!! If you prefer trout fishing, the Manistee & Pere Mar-quette Rivers are a short drive away and salmon may have start moving in river systems. The cabins are located within a short distance of the Lodge. The cabins are dorm style and we plan on 6 campers per cabin. We do not intend to use the upper bunks unless we are booked solid. The cabins have full baths with showers, kitchenette, microwave, refrigerator, coffee maker, dining table and chairs, dishes and utensils, telephone and wireless Internet service. Those staying in the cab-ins must bring coffee, bedding & towels. We have limited space in the main lodge, so rooms will go to the first reservations received & couples. If there is a group that would prefer to stay in a cabin together, list them on your registration form. Lodging reservations are open to members only. Cabin lodgers must bring bedding and towels and coffee if wanted. Looks like a great place to hang out on a fall evening with friends, a fire and some beverages!